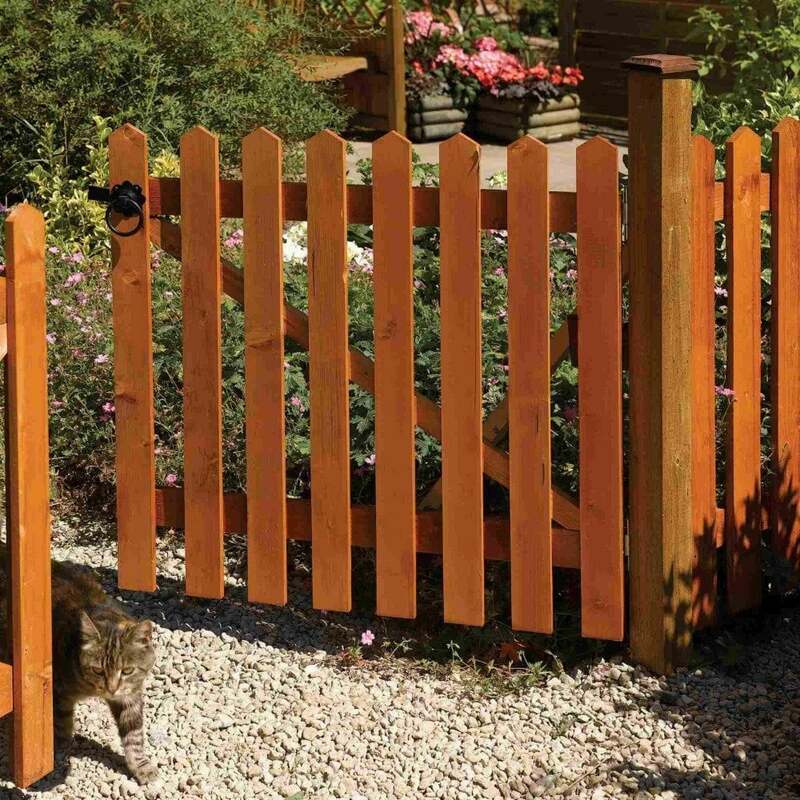 Rowlinson Picket Gate Treated: The Picket Gate by Rowlinson is perfect for creating a welcoming and warm entrance to your garden for a quaint look. The Rowlinson Picket Gate has been dip treated with an attractive honey brown finish and has a braced back for added support. The Picket Gate is available in two sizes and can be hung on either the left or right side depending on the layout of the garden.